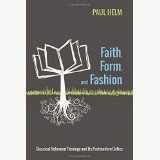 Calvin’s treatment of faith, permanent and temporary, has features that make it strikingly similar to Augustine’s discussion of perseverance. So it is interesting that though he quotes Augustine many times in connection with God’s imparting of his grace he does not refer to him explicitly on perseverance in the Institutes. Though it seems as if his influence is still being felt; he uses much of the textual evidence from Scripture that Augustine appeals to, for example. In this post I shall try to bring out similarities and differences of emphasis in the treatments of perseverance by these great theologians of grace. In the Institutes Calvin’s discussion of temporary faith is preceded by a section in which he rebuts the idea that faith, true faith, can exist in isolation from other graces. ‘Christ cannot be known without the sanctification of his Spirit: therefore faith cannot possibly be disjoined from pious affections.’ (Inst. III.2.8) The ‘faith’ that is disjoined from other graces ‘is unworthy of the name’. The discussion is conducted in terms of faith and particularly this thought, that although believers are justified by faith only, the faith that justifies is inevitably accompanied by other sanctifying graces. This is Calvin’s ‘two-fold gift’ which we have discussed before at Helm’s Deep. This is very similar to Augustine’s view at this point, but there is no direct evidence that Calvin took it from him. Here’s one significant difference in Calvin’s treatment of the nature of perseverance; true faith, the faith which continues to the end, persevering faith, is assured faith. (III.2.11) ‘However feeble and slender the faith of the elect may be, yet as the Spirit of God is to them a sure earnest and seal of their adoption, the impression once engraved can never be effaced from their hearts, whereas the light which glimmers in the reprobate is afterward quenched.’ It is not only that Calvin features assurance and Augustine doesn’t; his understanding of assurance is that it is a distinctive impression made known to the believer through introspection, self-knowledge, which tells him that however weak his faith may be it can never be extinguished. By contrast, in referring to ‘perseverance’ (Calvin never uses the word in this discussion, though he had earlier (II.3.10-13) referred approvingly to Augustine’s remarks on merit and perseverance), Augustine never mentions assurance as far as I can see, but uniformly refers to ‘piety’ as the sign of perseverance, indeed as what perseverance is. 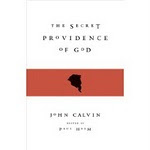 The prominence that Calvin gives to assurance as an interior impression suggests that he reckons that the believer knows that he will endure to the end, because he presently is favoured with an infallible sign of his adoption as a child of God. By contrast the use of the language of ‘perseverance‘ by Augustine suggests a linear progression, a walk, a race, a fight, a climb. Then the answer to the question of personal belief is grounded on the fact that the Lord continually makes the person to stand. That is, the Lord enables him to press on as a Christian, to have ‘pious thoughts’ which produce faith which works by love. (Gift of Perseverance, ch.20) There is also a suggestion of regeneration through baptism. Augustine refers to the laver of regeneration which both those who persevere and those who come not to, enjoy, but this need not be to have any more sacramental implications (or less) than Paul's 'washing of regeneration'. There is no suggestion of baptismal regeneration in Calvin, of course. And this continuation of the believer’s ‘standing’ is expression by Augustine in terms of obedience, virtue, and continued communion with visible church. In my view this emphasis, rather than Calvin's on assurance, makes much more sense of Scripture’s warning passages. This is another difference between Calvin and Augustine. The Bishop of Hippo discusses the warnings of the New Testament as integral to the question of perseverance, but Calvin is silent on them in the Institutes in his treatment of temporary faith. The reason for Calvin’s silence is presumably that if someone has a God-given, infallible assurance that he is adopted into God’s family, one of the elect, what need of warning? Nothing that could happen to him could dislodge him, for having the inward impression he can be confident that no-one can pluck him out of the Father’s hands. So here is a more balanced outlook than we saw earlier. The sense of assurance must be coupled with watchfulness, and assured Christians must not regard themselves as being out of danger. ‘Perseverance’ is a gift of God’s effective grace, and is one of the petals of the Calvinistic tulip. But what our discussion shows, perhaps, is that different pastoral situations may call for different emphases, now on the assurance of faith, now on the fruit of faith, now on adherence to the public means of grace. ‘Perseverance’ is capable of considerable nuance, therefore, but the key to it is that those who enjoy the grace of perseverance actually persevere. We can see here the misguidedness of continually stressing 'once saved, always saved' without keeping in place other New Testament emphases, the need for watchfulness, the need for fruit, and the danger of making a merely formal profession.